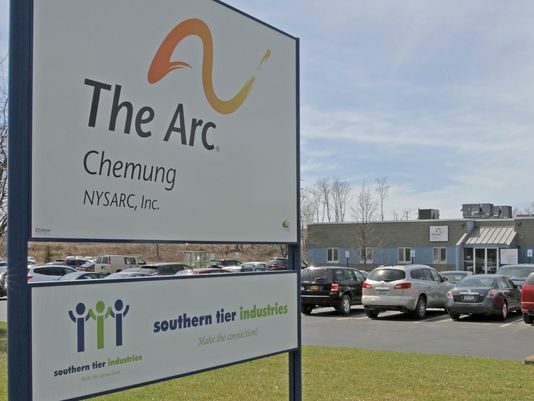 Founded in 1953, The Arc of Chemung is a not for profit organization committed to meeting the needs of individuals with intellectual and developmental disabilities and their families in the Chemung County, New York State area. The agency provides quality supports and opportunities for individual growth for every person supported by means of education, increased community acceptance and participation. The Arc of Chemung is a chapter of the state agency, NYSARC, Inc. and is nationally accredited by The Council on Quality and Leadership (CQL). The ARC of Chemung switched to IPitomy in an effort to modernize their telecommunications system and reduce telecom expenses. They had been utilizing the local incumbent provider services since their inception in 1953. They had many traditional phone lines in different geographical areas to provide phone service for their residential program that provides support of supervised apartments for residents. The residential program develops the necessary skills to achieve a higher level of independence and self-sufficiency. With IPitomy, the ARC of Chemung is able to provide phone service to all of their residential locations as well as their main office from their single location. Besides lowering the phone expenses across the board, they were able to port all of the existing phone numbers, provide enhanced 911 services for each remote location and have one convenient phone bill to easily manage finances. The monthly bill from their previous provider has been reduced significantly with IPitomy SIP Services. That money saved now goes to enhanced fiber and broadband services. The ARC of Chemung has leveraged a combination of IPitomy’s Premise based PBX with IPitomy’s highly regarded SIP Trunking services. The net effect is that the Arc of Chemung is maintaining their own cloud and now has increased capabilities to deploy phone service to their service area. IPitomy backs up their dealer, supporting both their PBX and their SIP services. This has proven to be a great asset in simplifying deployment and support. Their dealer is available for support whenever they need it. Techline is familiar with IPitomy products and services. While IPitomy offers both hosted and premise based PBX systems, Techline was able to assess the needs of the Arc of Chemung and provide the most cost effective products and services to exceed the customers’ requirements. The move to IPitomy has been a great one. The PBX provides a private cloud that services dozens of users across Chemung County. Local Dealer, Techline, is available for full service and support and the system is simple to grow and expand. The cost savings were exceptional and the technology is just what was needed to make this application work. It is easy to support all of our remote locations from one centralized server. The ARC of Chemung now has one single bill for all locations. They also have over 100 phone numbers with IPitomy and each of their residential locations has its own dedicated DID with e911. They receive support from their dealer, Techline, and IPitomy provides support and assistance as needed. They have great call quality with IPitomy SIP trunks and a multitude of features that can be used. They can put their savings back into the community to support their many programs serving the Chemung area. The Arc of Chemung is extremely satisfied with IPitomy and Techline. This was a very large complex project and all parties worked together resulting in a great deployment of advanced technology for one of the leading not for profit organizations.